Except for club sports just like LSU lacrosse. But unlike volleyball and soccer, lacrosse has a unique problem. “Honestly, down here…not a lot of people even know what it is,” says Thomas Brown, a Maryland native. But for a sport so obscure in the south, it has quite the background at LSU. 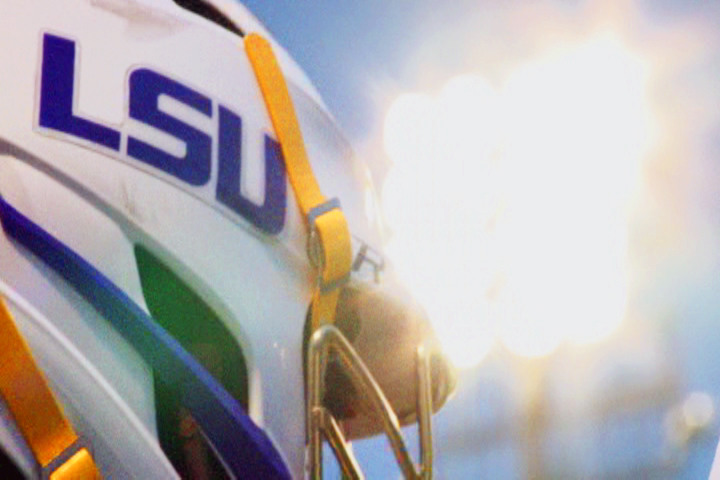 “Well first of all, the history of LSU is we’re actually in our 41st year playing lacrosse and a lot of people don’t realize that,” says Jeff Echols, LSU lacrosse head coach. The lacrosse club’s tenure over the years can be attributed to passionate players – especially those from outside the state. Club president and player David Escott says the influence from up north can’t be overstated. “So up there, everyone plays it, everyone loves it and everyone does it,” Brown said. Yet recently, lacrosse in southern states has shown continuous growth, says Echols, but the difference in culture isn’t just between the north and the south – it’s within the club itself. But for players like Escott – the classification doesn’t matter. And for now, the club level is more than enough. 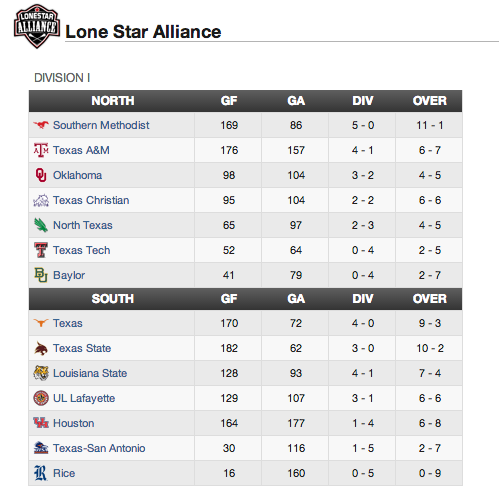 LSU competes in the MCLA Lone Star Alliance – as of April 8th, 2014 the Tigers sit at 3rd place in the South division.